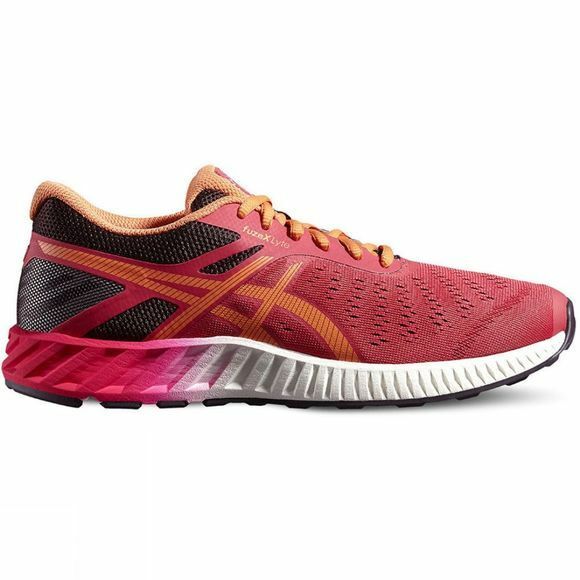 The Asics Women's fuzeX lyte is the fuzeX's little sister. This lightweight shoe comes with high levels of protection and cushioning. You can still take on your longer runs with fuzeGEL underfoot, so lightweight it can be spread from forefoot to rearfoot. 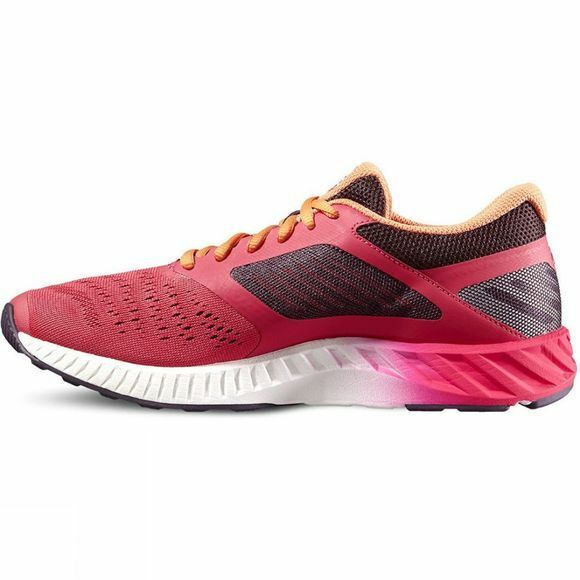 A true multi sport specialist the fuzeX is the perfect shoe for those seeking a great looking versatile performance product, for the gym, general training or multi-length runs. Specifications: Shoe Category: Road Running Ideal Use: Neutral Weight: Approx. 255 grams Glossary: Guidance Line®: Vertical flex groove decouples the tooling along the line of progression for enhanced gait efficiency. Seamless Construction: The use of seamless materials reduces the potential for irritation and friction caused by traditional; stitches and seams. 3M Reflective: Reflective material produced by 3M company, for night safety. Rearfoot GEL® Cushioning System: Attenuates shock during impact phase and allows for a smooth transition to midstance. Removable Sockliner: EVA sockliner moulded to the shape of the foot, which can be removed to accommodate a medical orthotic. AHAR ®: Acronym for ASICS® High Abrasion Rubber. Placed in critical areas of the outsole for exceptional durability. ComforDry Lasting: This lasting material features plush underfoot comfort while providing excellent moisture management and high level breathability.